"If you've ever doubted your ability to undertake the challenge of building your own home - or any life changing challenge, for that matter - this book will make you view the challenge you face with new eyes." “A joy from beginning to end – a brave, funny, moving account of building a new life and a new home out of mud in Turkey’s mountain wilderness. Atulya’s writing beautifully captures the spirit of the place, the people she meets, and the sometimes terrifying adventure of building a home that belongs as much to the landscape as it does to Atulya herself.” Sara Crowe, author of Bone Jack (Nominated for the Carnegie Medal in 2015). "Despite having very little money, almost no building experience, and endless naysayers who told her she would fail, Atulya K. Bingham completed her lovely earthbag home . . . Her personal, inspirational story shows how anyone can build their own sustainable home with earthbags." Dr. Owen Geiger, Director of the Geiger Research Institute of Sustainable Building, author of Earthbag Building Guide and the Natural Building Blog. Full Review here. "A really enjoyable, remarkable book to read" Jane Akatay, The Fethiye Times. Full Review. "Mudball provides rich fodder for the hungry dreams of would-be natural building enthusiasts. But its real value lies in its testi mony of a journey towards freedom, and a life lived with joy.” Claire Raciborska, author of Mariella and Smoke of Spirits. Read the full review here. "A fantastic read, whether you are interested in natural building or not!" Brigitte Koch OAM, author of The Wind in my Hair. "I laughed out loud. The suspense had me sitting on the edge of my chair. I was in tears at times too. Atulya is a magnificent storyteller. 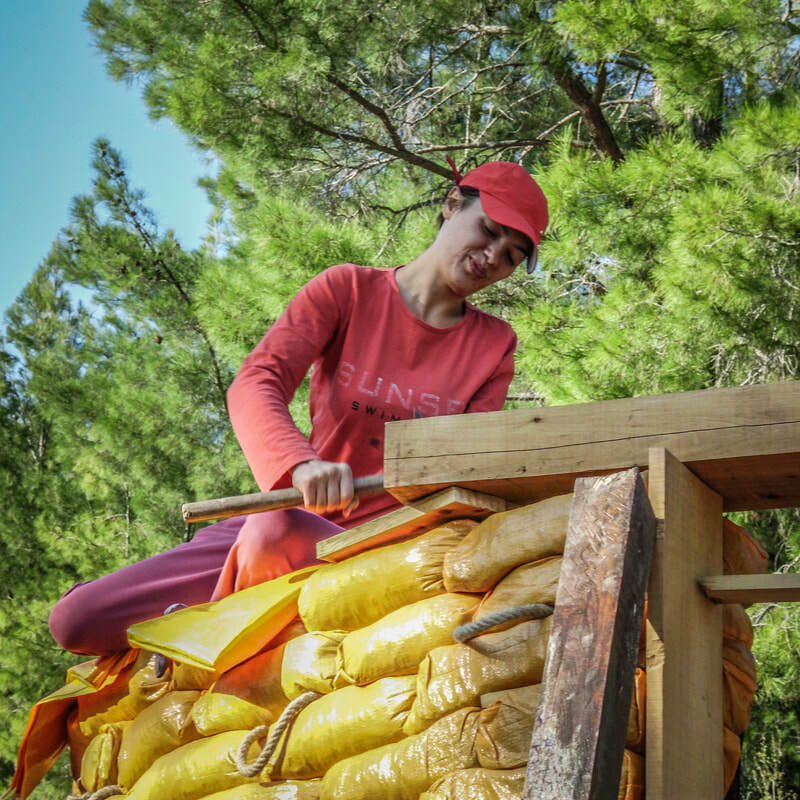 The story of how she reunited with her true self, building her house with her own hands is an inspiring one." Sophie Hunter, strawbale builder of Dutoba. "Mud Ball is a testament to Bingham's willpower, courage and resolve to see her project through. Throughout her book and the life she leads she is an inspiration to us all. From start to finish her writing guides us through what for many of us is a metaphor for our lives: We have big plans, we stumble, and with perseverance and some good friends many times we succeed." Chris Shaw, Turkey's first earthbag pioneer, and the creator of the well-known Reflections camp in Kabak Valley. "Underneath the narrative of trauma, privation, shivering cold and the whip-lashing storms, or the threat of frozen disintegration in a freak winter, is a spiritual journey, without proselytisation, or sanctimony . . . None of the above pays tribute to this most original writer. Her imagery makes the tempestuous natural world an almost human companion, certainly as changeable, less apologetic." Philippa Rees, author of Involution. Read the full review here.